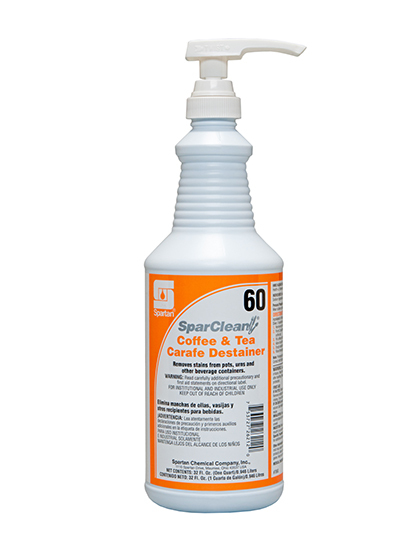 SparClean Coffee & Tea Carafe Destainer quickly and easily removes coffee, tea, and other tough stains from beverage serving equipment. Designed for use in conjunction with Spartan's 3 sink wash-rinse-sanitize system, Coffee & Tea Carafe Destainer ensures that coffee pots, urns, tea and beverage pitcher, etc. look clean and stain-free.